The cast of characters is expanded and the focus isn't so much on the characters from Broken. Don't worry you do get to catch up on what they are doing. It is three years after the end of Broken and the Reform Party is in total control. Sky Ranger is on the run with a band of refugees. It is this band of merry men and women who play the leading roles in Fly into Fire. I perhaps liked Fly into Fire a bit more than Broken. We learn more about the world Susan has created which I love - I think that is definitely a point that is important to me in science fiction and fantasy books. 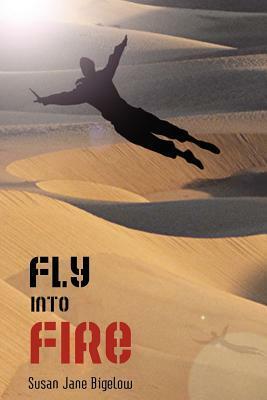 I was happy that I had the third book all ready to go when I finished Fly into Fire. It was great to just continue the story without a break and I will have the review for Spark on Tuesday. Your Turn: What is an important component in scifi/fantasy novels for you?